In case you missed some of our custom report examples at SuccessConnect Berlin, I wanted to share some of my favorite examples of our customers’ custom reports that Veritas Prime has built. As I’ve said in previous blogs, I started working with SuccessFactors on the client side and one of my responsibilities was reporting and analytics. Every time I had to re-create one of the weekly/monthly/quarterly/annual reports, I found myself frustrated with the limitations of standard reporting and my duplication of effort. Thankfully, custom reporting is the answer to these issues. As we all await the upcoming roadmap and changes to reporting, YouCalc Dashboards and BIRT reports are great ways to visualize your data and reduce the time spent on re-creating reports each period. They recently released an estimated timeline and as of now, you will still be able to use your existing reports for at least 2 years after SAP Analytics Cloud is live. For part one of this blog, I will be providing some examples of YouCalc Dashboards. For part two, I will cover BIRT reports. 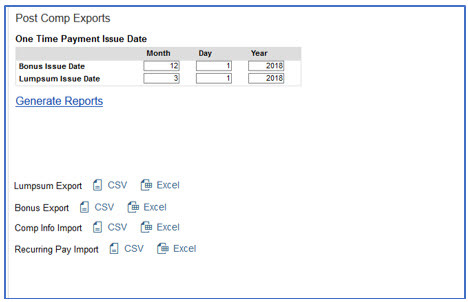 In case you are new to SuccessFactors reporting, there are several different reporting options within SuccessFactors and sometimes it can be a little confusing. This blog by Robert Wood does a great job breaking it down and explaining what each tool is best used for! SuccessFactors has done a great job of creating standard dashboards for performance, goals, and succession but for modules that are highly customizable, custom dashboards give HR and managers at all levels insight into their employee’s data. YouCalc can pull data from SuccessFactors Ad Hoc reports, API, Workforce Analytics, and FTP sites. Below are some examples of our clients’ dashboards. All of these have been built by Veritas Prime and the screenshots are with dummy/test data. The below dashboard combines basic operational EC data with workflow data. A dashboard to summarize your recruiting process. This is one of our most used dashboards because it can be re-mapped to a client’s requisition templates. A dashboard to summarize your compensation process. We have several clients that screenshot this one and send it as a daily summary at the end of every day during the compensation review cycle. 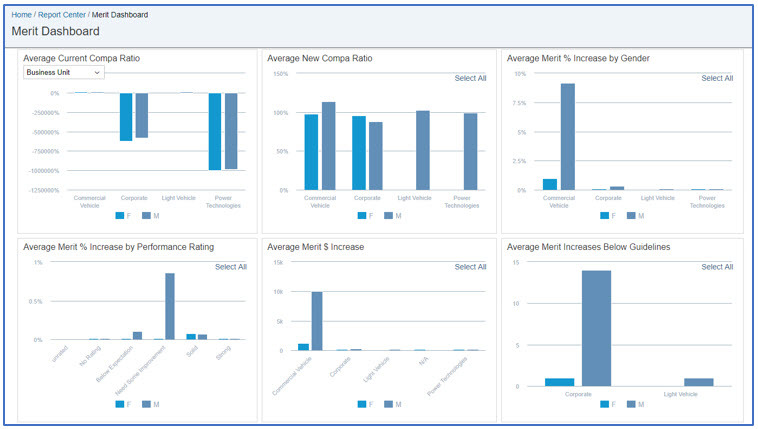 Dashboards for managers and HR to give additional insight into the compensation planning process. Not only can you customize the metrics tab on the compensation template but we had a client that wanted to customize the budgets section so the standard budget tab was disabled and it was re-created on the metrics tab. 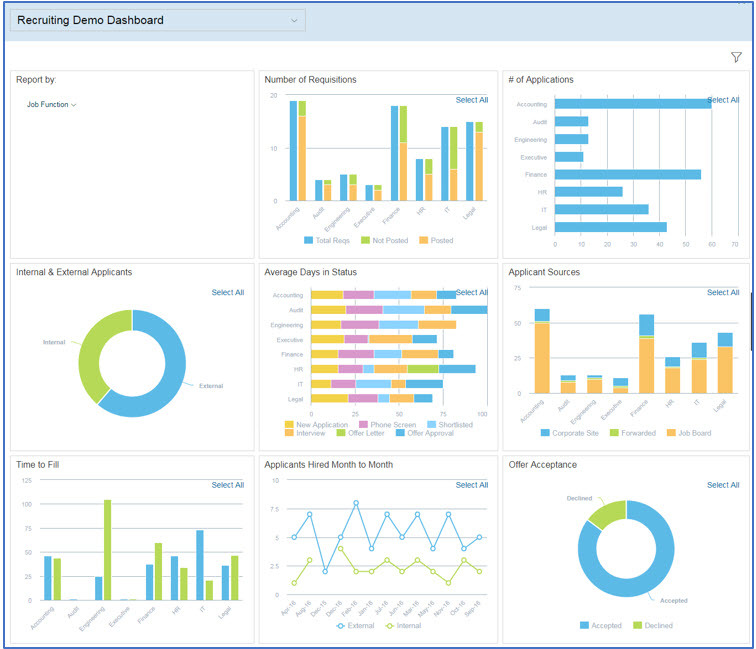 Below is an example of a dashboard we built for a client that pulled data from their time/payroll system and visualized it in SuccessFactors for Managers and HR. Since we can pull from additional sources, you can visualize your learning data and gain additional insight into courses within additional seats and enrollment numbers. The below dashboard was built by Dwayne Phillips for a client to provide information on their courses. We have come up with ways to create Manager, User and Administrative dashboards at the BizX level to allow for a more consistent view for your users. We even offer tiles for this data on the homepage if a dashboard is more than you are looking for. With the ability to join data from an Ad Hoc report with an API query, we have come up with some creative ways to use YouCalc Dashboards to fill gaps and simplify processes. 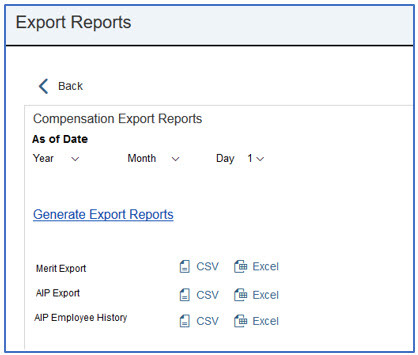 Below is an example of a dashboard that creates the import files for compensation and variable pay. A similar approach has been used to create the EC import files! For a non-EC integrated compensation template, you can create a dashboard that generates the recurring and non-recurring payment load files. 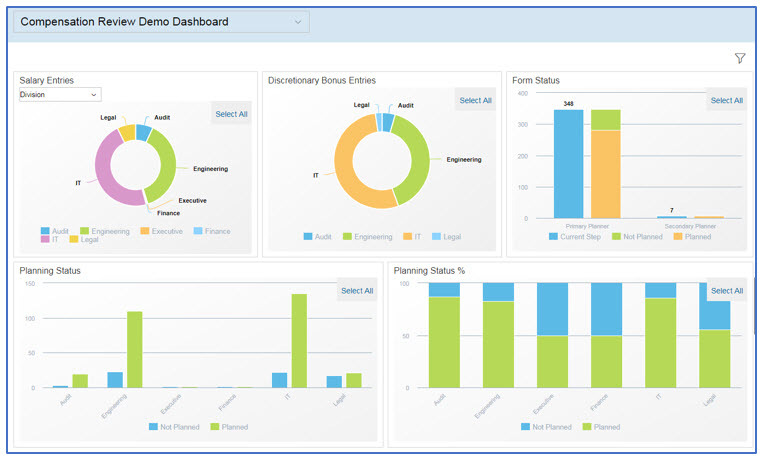 For US companies with government contracts, the below dashboards can be used to create your affirmative action reports. This can be used to create the actual file or the files needed by your third party provider.